Coupons tagged with "family fun"
*Please enter a mobile number with the area code. - Example 415-555-5555. No need to enter “1” for US numbers. *SMS message service is available for US and Canadian mobile numbers. NOTE: Text-messaging and / or cellular data charges may be charged to recipient of message by their service supplier. Enjoy riding high on our 90 minute tours over the Golden Gate Bridge. 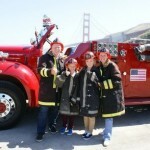 Experience San Francisco and its iconic sights on board a vintage fire engine. On our fun filled excursion you will start at Fisherman’s Wharf, travel the City’s streets, across the Golden Gate Bridge to Fort Baker on the outskirts of Sausalito and up to the Marin Headlands. Please present the coupon at the merchant for your discount. Always call to verify availability, rates and times. Coupons have no cash value, are not for resale and cannot be combined with any other offer or discount. We check these offers regularly, please let us know if any of the coupons have expired. 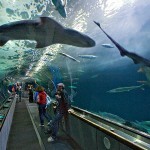 $2.00 Off Single Admission at the 7D Experience on Pier 39! Experience the thrill of a roller coaster and the excitement of an interactive shooting gallery –all without leaving your seat in our state of the art digital theater with surround sound, 3D effects and the newest in laser technology. Compete to achieve the highest score in the theater as everyone tries to capture the gold, eliminate the bad robot cowboys, or survive the zombie apocalypse. The sharpshooter with the best aim will have their picture displayed on the big screen and everyone will have the opportunity to view and purchase their action “shot” as well. Using cutting edge technology developed by TrioTech of Montreal, Canada, and brought to you by the Alter family of San Francisco, we look forward to welcoming you soon to the 7D Experience at PIER 39! Open every day of the year, except December 25. General Hours of Operation -- Summer Every day: 9 am to 8 pm -- Winter Monday-Thursday: 10 am to 6 pm Friday-Sun: 10 am to 7 pm Times are subject to change; call for more information. Present at time of Purchase. $10.00 Off Electric Bike Rentals at Blazing Saddles! 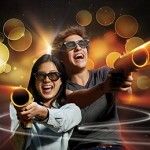 $5.00 Off Admission for up to 6 People at Madame Tussauds! $2.00 Off 3-Way Combo Ticket at Ripley’s Believe It or Not!